Who worked on what activity, at what times, for how long and at what cost? 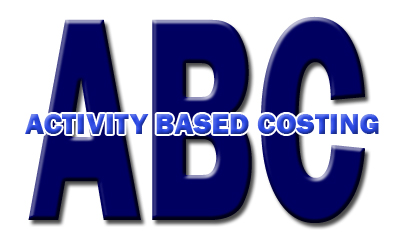 To go into a little more detail, Activity Based Costing gives you important, statistical information on the time and cost spent performing various “activities” within your company, including a breakdown of each employee’s activities throughout the working day. What defines an activity is largely up to you and your company’s specific requirements. At its most obvious, an activity can be a specific task or work in a particular department (for example, dispatch area, assembly line or other work area). However, an activity can also be a particular type of work, such as packing, welding, loading/unloading, cleaning, etc. Of course it’s possible to mix and match these for whatever is most appropriate for your company. As employees engage in a particular activity, they simply clock themselves onto that activity (task or work area), using one of several methods including; clocking terminals, bar-code readers, mobile devices and PC’s. Employees often have a “cost rate”. This can be used to then see how much it is costing for an individual employee to engage in an activity. There will be occasions where an employee is engaged in a non-productive activity – these can be costed as well, so you have a better understanding of employee productivity. You can allocate budgets to activities, enabling you to know when you’re over or under-budget in specific areas. A good example of Activity Based Costing might be employees working on production lines, where you wish to understand the labour cost on each line versus the target output from that line. With employees moving between lines it is often difficult to know these costs without masses of paperwork. Using a computerised solution employees simply ‘swipe’ between lines – nothing else to do, just run the reports! The entire system works in real-time, and you can report on specific activities and employees at any time. With Activity Based Costing, you have all the tools at hand to really understand your costs and times spent on every activity to maximise your cost/production ratio. The Captureit time and attendance system has the popular Job Costing Module which provides you with a great Activity Based Costing addition to your T&A software. If you’d like to learn, feel free to give us a call on 0800 288 8632 and speak to one of our sales advisors or book a free demonstration of the Captureit time and attendance system.